Bite first cast, a fight that mostly involved getting the fish stuck in as many snags as I could, but eventually a 6lb 11oz barbel was added to the challenge. This one tipped me over my own personal barbel challenge - over 200lb of Wandte barbel in one season - very chuffed! 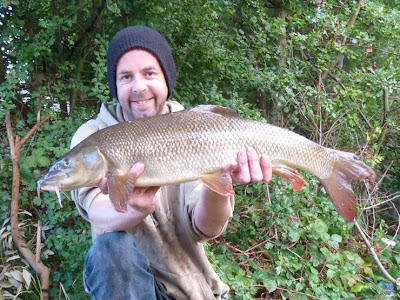 I thought the swim was thrashed but the next casts were met with shy bites, the barbel were still there, just lost their confidence. After about an hour Dan (fishing two rods) had a bite on both at the same time, but neither developed into a rod-ripper. 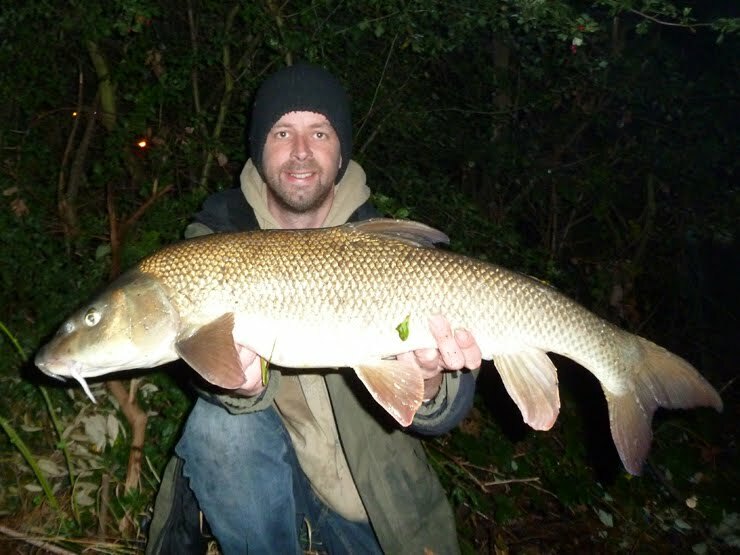 Just as it was getting dark I had the rod-ripper, another snaggy fight and a 9lb 6oz barbel - brilliant - but the swim was definitely thrashed now - time to move. Very nice. Looks like you're dressed for winter though? Yeah, lining is zipped back into coat, as soon as you're out of the sun it's pretty chilly. Didn't help that I got wet landing the first fish... Most people would have gone home - I was convinced there were more fish there though.